Level Up Georgia: Wait, Hi-Rez Did What? Editor's Note: A previous version of this column incorrectly included a non-Georgia game developer. The column has since been corrected. From unexpected convention mashups to the release of Killing Floor: Incursion and much more, there's been a ton of news brewing in the Georgia game dev community since our last Level Up column -- so let's go ahead and jump right into things. If you're a Georgia game dev and want us to cover your news, make sure to shoot us an email at: georgia@gameskinny.com. 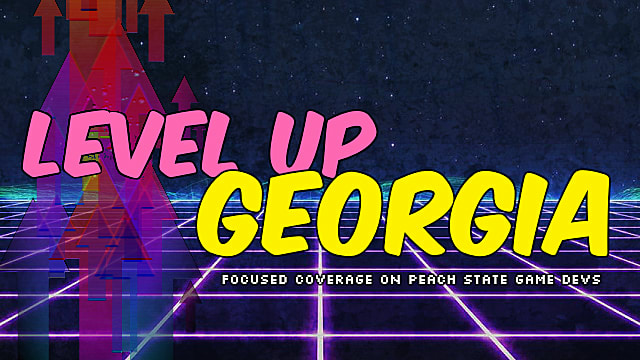 Please include "Level Up Georgia" in your subject line so we can easily pick it out in our inboxes. That's right. Hi-Rez Expo won't be at the Cobb Energy Center come January 2019. Instead, Hi-Rez Studios, the Alpharetta-based development studio best known for SMITE and Paladins, has partnered with Dreamhack to bring HRX to the Georgia World Congress Center from November 16-18, 2018. Stew Chisam, President of Hi-Rez Studios, said the partnership was made so that the next high-octane HRX could be an even better experience for esports teams and fans alike. selling out the past three Hi-Rez Expos months in advance, DreamHack Atlanta gives us the opportunity to add more attendees, a larger event space, and more fan activities at a lower ticket cost than previous Hi-Rez Expos. The collaboration between the two parties is a perfect fit. Since 1994, Dreamhack has hosted some of the world's preeminent LAN and computer conventions. Each year, some 300,000 esports fans attend Dreamhack's events around the world to cheer on their favorite esports teams, create impeccable artwork, surf the fastest internet on the planet, and game until they pass out from exhaustion. Merging Dreamhack Atlanta with Hi-Rez Expo will undoubtedly bring SMITE and Paladins to a larger audience, while all at once giving HRX attendees access to the smorgasbord of activities and competitions Dreamhack is known for. More games, tournaments, and convention specifics will be announced in the coming weeks and months. You can purchase tickets to Dreamhack Atlanta here starting May 9 at 9:00 a.m. EST. With well over 1 billion views across all of their streaming and video channels, SMITE and Paladins are some of the most watched games in the competitive gaming space. As demand for content centered around the games has increased, it's only natural that Hi-Rez Studios would meet it with a steady supply of engaging content. To better help them accomplish that goal and satisfy the rabid masses, the Alpharetta-based studio announced on May 7 the opening of Skillshot Media, a production studio focused on operating "esports leagues and production for SMITE and Paladins, as well as games from other publishers." Set to open May 9, the studio is set to produce some 75 hours of esports-centric content each and every week with a staff of 35. Coming in at 16,000 square feet, Skillshot's studio will be 6,000 feet larger than ELEAGUE's esports arena. Although it is currently not known what content the wholly-owned Hi-Rez subsidiary will produce for "other publishers," there's plenty to be produced for SMITE and Paladins' 45 million players. Moving into a new (and bigger) space is going to help production focus on the esports aspects of both IPs. However, Todd Harris, President of Skillshot Media and COO of Hi-Rez Studios, said that Skillshot Media isn't just about producing content, but also about building community around that content. We started live-streaming games from a bedroom, then a tiny office, and now a dedicated production studio. But our goal has always been to foster community through esports and video content. By organizing ourselves as a separate entity focused only on esports and content product, we’re excited to bring even more dedicated esports attention to Smite and Paladins and also explore partnerships with new games and additional game publishers and developers. Skillshot isn't taking things slow, either. The studio is set to have weekly LAN competitions through the month of May, all while hosting some 200 esports professionals from around the world. If you didn't catch our Bot Smashers coverage from HRX 2018, here's the TL;DR on the new Hi-Rez IP: it's a smashingly fun mobile game that fuses strategy with fast-paced base building. In our time with the game, we had a pretty good time and can't wait to see what Hi-Rez does with it. 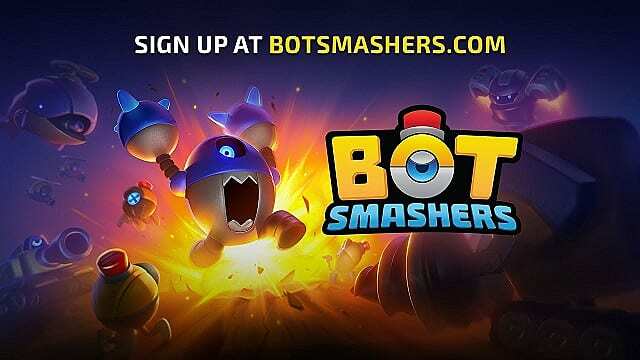 As the name implies, Bot Smashers will see players wreaking havoc on opposing players in a colorful world of robots on a 1v1 battlefield where matches are timed and the highest score wins. Currently in Alpha signups, interested players can sign up here to see what it's all about. If you were a fan of Advance Wars, Bot Smashers is a game you just might want to check out. We all already know how important Unity is to not only large developers but especially smaller studios and indie developers. To further highlight the success these users are having with the tool, Unity 3D Atlanta Group is working with MomoCon 2018 to host its third Game Showcase May 24-27 at booths 1052 and 1053. To learn more about the Unity 3D Atlanta Group, visit its Meetup page. Honestly, Killing Floor 2 might just be one of my favorite zombie horde games of all time. Really. It's got character. It's balanced. And most of all, it's fun. Sure, this isn't KF2, but it's KF in VR, which sounds hella' rad to me. And although we've not personally gotten our hands on a copy yet, the PSVR version of the game appears to be performing very well. Considering how it did on the Oculus, that's really no surprise. 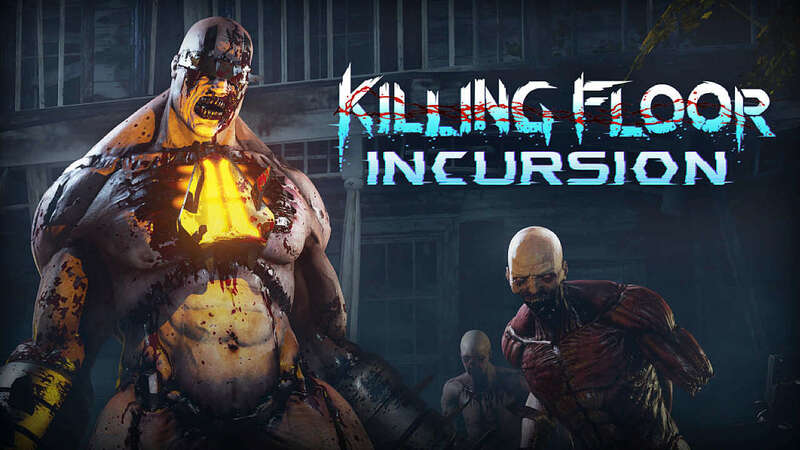 If you have a PSVR and you're itching to frag some Zeds, you can pick up Killing Floor: Incursion now from the PlayStation Store for $29.99. Are you ready to venture into the kooky world of Pool Panic, an adventure game that bakes ridiculous non sequiturs and totally weird randomness into its very design? A game that looks to embody the amazing quirkiness that is Adult Swim Games into a single, epic tale of cue ball chicanery? After watching the trailer above, you can't help but at least be interested in what Pool Panic has on offer. With more than 100 zany levels that span deserts, jungles, pirate-themed carnivals, tundras, dance clubs, and much more, Pool Panic sees players battle ghosts, zombies, spiders, and diabolical bosses using strategy and cunning. From the looks of it, the game's puzzles can be absolute mind-benders, and the gameplay will not only test your powers of deduction -- but your powers as a master of pool! Pool Panic is set to release "soon" for the Nintendo Switch and PC. In our last column, we talked to GGDA President Andrew Greenberg about the launch of the association's "Game Dev News Network." There he stressed the importance of providing game developers a resource to learn more about not only the industry at large but also about the tools and techniques used by their peers to make great games. Looking at everything from game development tools to Georgia game news and more, the Game Dev News Network launched its first broadcast (seen above) on April 24. The next broadcast is set to air May 22 at 7:30 p.m. EDT on YouTube, Twitch, and Mixer. If you're a GGDA member who would like to help with the production of future GDNN streams, moderating any of the association's channels, creating any of the GGDA's expanding game-centric content, or having the GGDA work with you to promote your content, email the GGDA at info@ggda.org. If you are not currently a member of the GGDA but would like to join, you can find more information on the association's membership page. Stay tuned to GameSkinny for more news about Georgia's burgeoning gaming scene. And if you've got a piece of Georgia game dev news you'd like to share with us, send it over at: georgia@gameskinny.com. We'll make sure to include it in our next column!